I love spring. I love the explosion of color as flowers bloom everywhere and trees start to bud. I love the life that seems to come out from hiding. Birds busy building their nests and caring for their new hatchlings. Butterflies and bees working overtime to pollinate all the newly blossoming flowers. There is freshness and joy in the air. Even as a homeschooling family we take time off in the middle of our school year to enjoy some vacation time together. There is every reason to celebrate and feel excitement about spring. Then there is spring cleaning. Why in the world did spring become the popular time to do a deep cleaning? I know in the farming families it’s the time before the harvest. In areas with big fluctuations in weather it’s a time to open up windows to air out the house before the summer heats up. However, this is also a fairly busy season for most families. Between school, sports, and busy schedules of spring, there is not a lot of extra time to squeeze in deep cleaning. So I say, why do it? Maybe it’s the rebel in me coming out. I don’t like conforming to things just because it’s popular. That’s scriptural right? Ha! Romans 12:2 tells us not to “conform to the patterns of this world.” Now, I doubt that the Lord was intending for me to use this in the context of cleaning. However, why not practice our non-conformist habits when it comes to our way of thinking about our homemaking, too? Deep cleaning, or “spring cleaning,” is great. However, find time in your schedule to do it. Break it up. Maybe you do your heavy duty dusting in the spring, so you can open your windows to release all the dust bunnies flying through the air. Then save some of the other projects for another time. We need to give ourselves grace in our homemaking. We put a lot of pressure on ourselves to do what everyone else is doing. Instead, take a look at what works best for you and your family. I personally love taking time in late December before the first of the year to do a little decluttering. I spread out some of my deep cleaning projects throughout the year. In fact, I love doing most of my “spring cleaning” in the summer. I save spring and our spring break for fun and as a time for us to savor the season. Not to dig in and clean. Of course, I’ve had several pregnancies where I was in full on nesting mode and cleaned non-stop throughout the spring. But it worked for me during that time. One fun little side note: I have done several podcast episodes with amazing guests who give great tips on decluttering and simplifying. 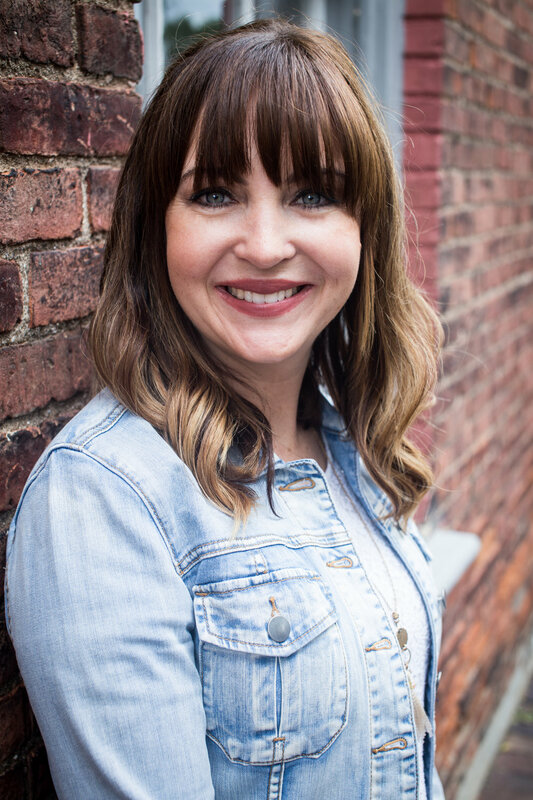 I’d love to have you check them out on my Simply Joyful Podcast. Emily Ley & Dana White were two of my favorites! You don’t have to “conform” to what’s trendy or popular — even in your house cleaning. So, happy spring. Enjoy the season. P.S. 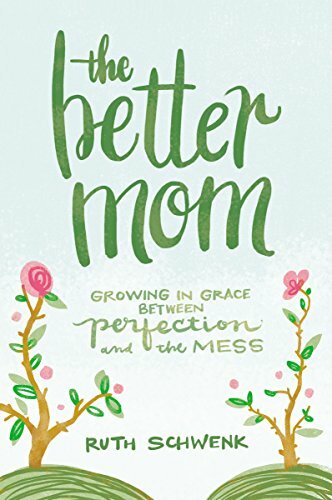 We’re growing in grace together all month here as we celebrate the release of The Better Mom book. Find out more here. At the heart of The Better Mom is the message that Jesus calls us to live not a weary life, but a worthy life. We don’t have to settle for either being apathetic or struggling to be perfect. Both visions of motherhood go too far. Ruth offers a better option. She says, “It’s okay to come as we are, but what we’re called to do and be is far too important to stay there! The way to becoming a better mom starts not with what we are doing, but with who God is inviting us to become."